Wrangler, the original American denim brand, is back with its nationwide search for the True Wanderer. After six successful seasons of True Wanderer, Wrangler is calling on all adventure and travel enthusiasts for its seventh edition. 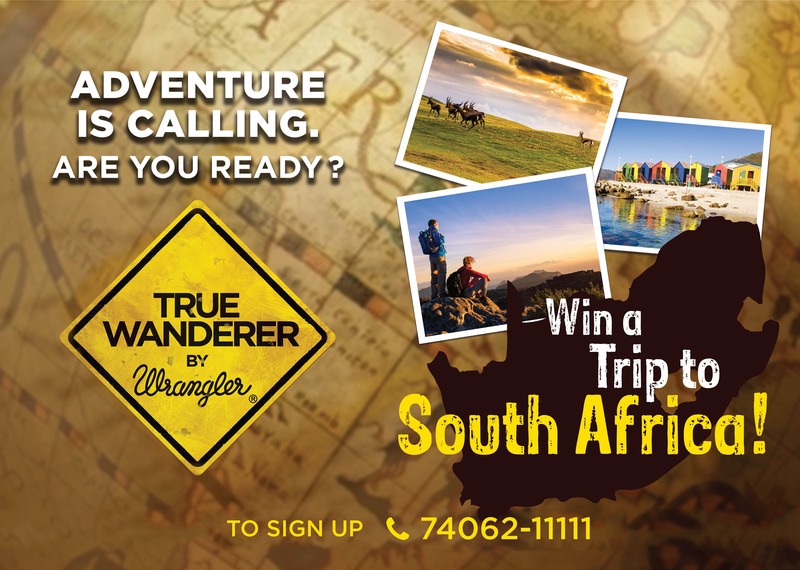 Sign up for the True Wanderer contest and you could be in the running for the grand prize of an all-expenses paid trip to South Africa. Signing up for the True Wanderer adventure is simple. All you have to do is visit the True Wanderer page on the Wrangler website (http://www.wrangler-ap.com/in/truewanderer) and share your travel experience as an e-postcard. The best postcard entries will earn their creators the opportunity to be one of 25 True Wanderer finalists. The finalists will get to go on a fully sponsored trip in India. They can choose to travel by car, bike, foot or any mode of transportation of their choice. While on their journey, they will need to capture their travel experiences and share these on the Wrangler website. Based on votes and the scores of an elite judging panel, the winners of True Wanderer 2018 will win the grand prize of an all-expenses paid trip to South Africa. Registrations are on till 9th April. So what are you waiting for? Visit http://www.wrangler-ap.com/in/truewanderer right away and create your #Live2Wander postcard. So if the travel bug has bitten you and you truly #Live2Wander, sign up for the chance of a lifetime. The heritage of Wrangler goes back literally 70 years when the brand first made an appearance. Wrangler was the first modern five-pocket jeans to be test-fitted and endorsed by real-life cowboys. Since then, Wrangler continues to inspire freedom, independence and self-reliance in its wearers. The brand in India has come a long way, evolving to meet the needs of the ‘urban cowboy’ with a range of fashion apparel that is contemporary, fashionable yet rugged. A part of VF Corporation – the world’s largest apparel company, Wrangler has found a loyal consumer base in the Indian youth that swear by this unique fashion brand. This stylish denim brand is available at exclusive standalone stores, leading apparel stores and major department stores. Just 2 Days guys, don’t miss the chance, Join In.